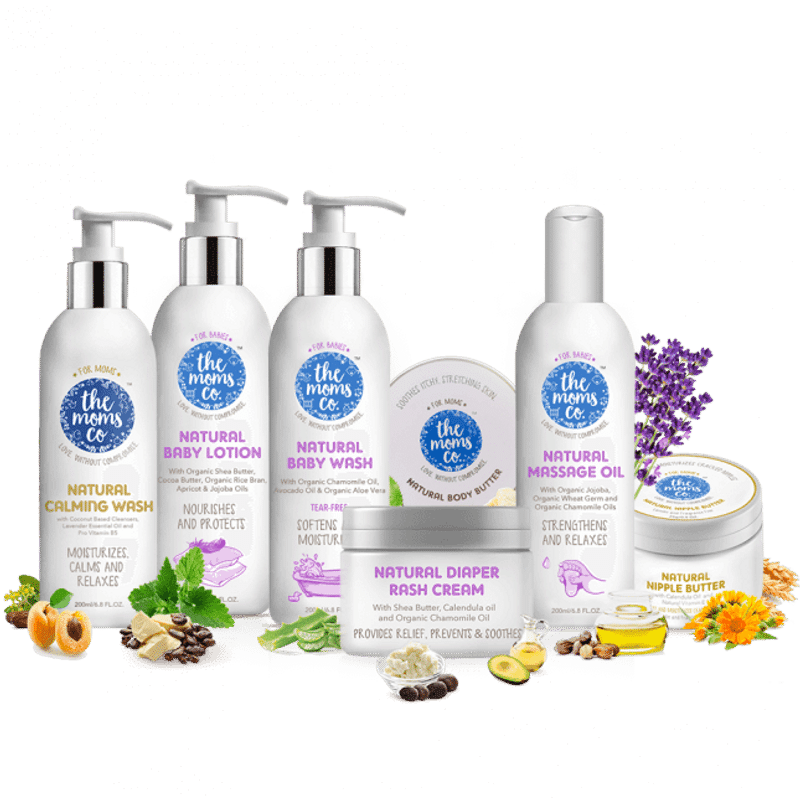 The Moms Co. Everything For Baby Gift Set is the baby's first suitcase packed with love and with everything needed to look after the baby's delicate skin and hair for those first few months. With USDA-Certified Organic Actives all the products are clinically tested for safety is hypoallergenic, mild & gentle on your baby's skin. Natural Diaper Rash Cream (25g): A fast-acting Natural Diaper Rash Cream with 15% Zinc Oxide, Hydrolized Oat Protein & Organic Chamomile Oil helps prevent, treat and quickly soothe skin inflammation. Natural Hair Oil (100ml): A toxin-free combination of 10 powerful oils that nourish, protect and strengthen your baby's hair, keeping them soft and silky. Natural Baby Powder (100g): Absorbs moisture keeping those chubby folds dry without the use of harmful talc. About the Brand: The Mom's Co believes in rendering nothing but the best to mothers and their toddlers alike, by helping the mothers make choices that are safe, natural and effective. Their products, developed and tested with the best experts across India, Australia and Switzerland are made with love and without compromise, retaining the all the good from Mother Nature.